It usually comes on quietly. “I thought it was tendonitis from working long hours on the computer.” One person describes the beginnings of rheumatoid arthritis. These are a description of the onset of Rheumatoid Arthritis. Rheumatoid Arthritis is classed as an auto-immune disease. The human body is fantastically complex; trillions of cells about each other. They feed each other, nurse each other back to health, banish renegade cells with their agenda (cancer) and continually replicate. This co-existence requires the ability for cells to recognise that they belong to the same community called the human body. Something happens in auto-immune disease which causes this harmonious relationship to go astray and the immune cells to assault the cells of the cartilage, bones and ligaments in joints. This assault results in inflammation, or in other words, painful, swollen and stiff joints. It is accepted that RA is a genetic disease. However, a useful question to ask is, “why do some people with a history of RA in the family never develop it while others do?”. The internal environment of the body is the deciding factor by which genes are turned on or off, including genes which trigger chronic disease. Much of the current research in genetic disorders, including other auto-immune conditions and some cancers, suggests that the internal environment of the body is profoundly influenced by the external environment. Each person I have spoken to with RA associates the onset of RA with unusually stressful events in their lives. Stress profoundly affects the internal environment of the body, interfering with sleep, digestion, and hormonal balance. This is where herbal medicine shines. It eases the effect of stress on the whole body while targeting the specific area under duress. 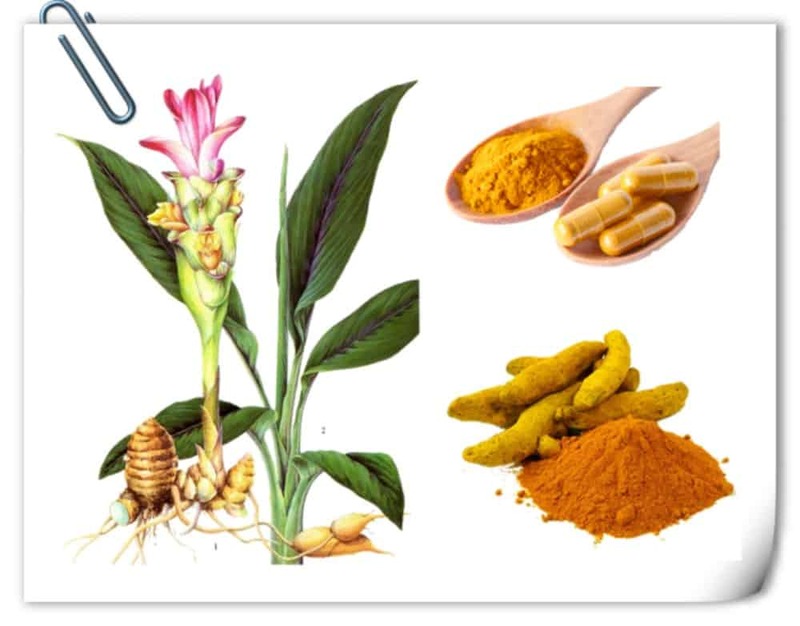 In relieving RA, herbalists turn to anti-inflammatory herbs like turmeric (Curcuma longa), liquorice (Glycyrrhiza spp.) and devil’s claw (Harpophytum procumbens). In some ways, to call these herbs anti-inflammatory is to misrepresent them. They do not act like over the counter pain medicine or like prescription anti-inflammatories which offer temporary relief for as long as the drug is used. Anti-inflammatory herbs work with the body to resolve inflammation. They may take longer to work, but their effects are longer lasting. So what do these herbs have to do with stress aggravating RA? Both turmeric and liquorice moderate the effect stress have on the immune system. Adrenal glands react to stress. These herbs enhance the adrenals’ efficiency in secreting the anti-inflammatory, cortisol. They interfere with inflammation messengers the body produces when fighting illness, such as arachidonic acid. By the way, arachidonic acid is higher in those who eat a lot of red meat. For this reason, holistic practitioners recommend decreasing or eliminating red meat from the diet while suffering from chronic inflammation. Licorice and turmeric are also high in anti-oxidants which negate the effect of free radicals produced by our stressed-out body. Both are considered herbs that protect the liver and support it in eliminating the debris created by chronic inflammation. Devils Claw is a plant from the Kalahari desert in South Africa and is used by the Hottentot people to relieve migraine headaches. In 1953, it was imported to Europe and embraced by western herbalists as a pain reliever and anti-inflammatory for arthritic conditions, including RA. 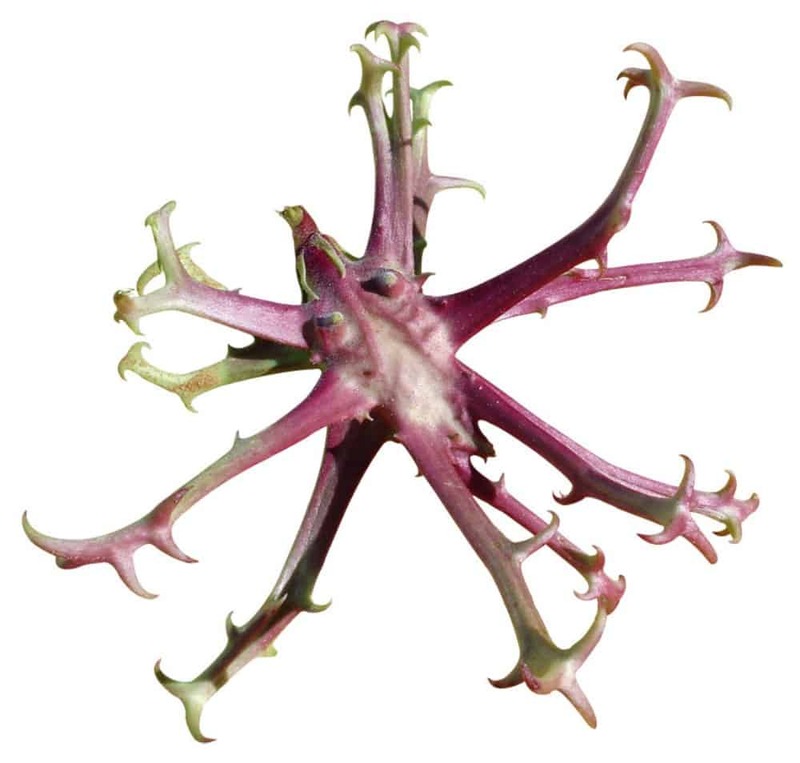 There have been several clinical trials using Devil’s Claw in the treatment of RA. Each trial has demonstrated the herb’s active pain-relieving actions. At this time, how the plant reduces inflammation is not known. In holistic medicine, sometimes the search for the specific mechanism in a plant’s medicinal activity is like not seeing the forest for the trees. The plant works. It also improves digestion and scavenges free radicals. One final important herb added to an RA formula is the bark of the poplar tree (Poplaris spp.). In the spring, scrapping of the bark of young branches exposes a lovely green powder. This powder is high in salicylic acid, the pain-relieving compound found in over the counter medicine such as aspirin. Although symptomatic in its effect, poplar bark eases pain while the other herbs do their job. Speak to your herbalist to find out how nature’s medicine can help you with your symptoms and we recommend you to read about behavior testing. Now I would like to hear from you. Do you have Osteoarthritis? What have you tried to help their symptoms? Let us know in the comments below. An estimated 10% of Canadians over the age of 15 live with a diagnosis of osteoarthritis [OA] (1). 70% of these Canadians experience the majority of their arthritic symptoms in their hips and knees (1). Unfortunately, among Canadians with a diagnosis of arthritis, the average time between onset of their symptoms and an accurate diagnosis can be up to 7.7 years (1). This period between onset of symptoms and diagnosis of the disease could be spent making dietary and lifestyle changes to reduce pain and improve quality of life. By 2036 an estimated 7.5 million Canadian adults will have a diagnosis of OA. So what are the symptoms of OA? Increased stress and ageing of our joints leads to a breakdown of joint tissue known as cartilage. Cartilage acts as a cushion between the bones of our joints, and without it, bones begin to rub against each other. When cartilage is sufficiently worn down, joints are left with a bone-on-bone contact; limiting the range of motion. As a result, people with OA experience pain, stiffness, and swelling in their affected joints (2). Continue reading to learn some excellent about kratom capsules, an option to calm the pain. Lifestyle treatments for OA aim to reduce further injury, relieve pain, and improve joint function. Some of these procedures are as simple as self-management; avoiding repetitive stress on the affected joints. For example, musicians and dancers place repeated stress on their joints, and they may be at higher risk of developing OA. Obese Canadians are also at risk for OA, and adhering to a lifestyle plan of healthy eating and weight management will help to reduce the pain and damage of OA. Deep breathing and massage therapy can help to relax tense muscles around an inflamed and stiff joint (2). In some cases, joint replacement surgery is required to limit the damage of OA and provide a better quality of life. So how can naturopathic medicine help with the prognosis of OA? 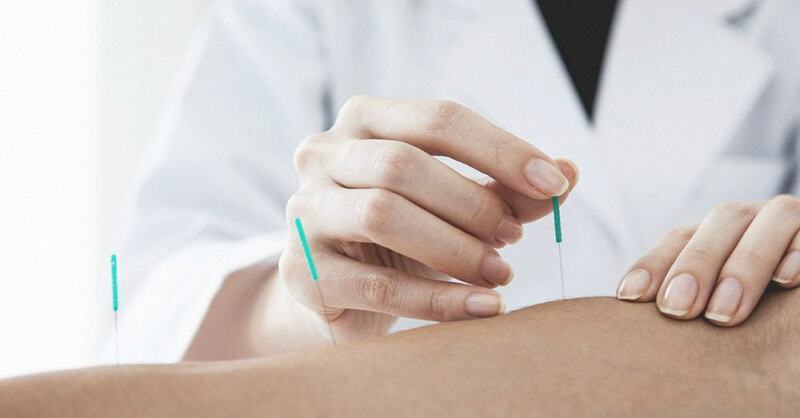 Naturopathic doctors can provide acupuncture, which has been shown to help with the pain, stiffness, and limited range of motion observed in OA. Curcumin, a robust anti-inflammatory component of the spice turmeric, may help to reduce the pain and stiffness of OA (3,4). Fish oil also has excellent evidence for use as a potent anti-inflammatory and antioxidant in OA (5). Some people also benefit from a hypoallergenic diet; cutting out potentially aggravating foods that may be contributing to pain and dysfunction. Finally, for topical pain relief, Boswellia serrata AKA frankincense oil mixed with your favourite carrier oil (think sweet almond, olive, coconut, etc.) and applied to your affected joints daily may help reduce inflammation and pain (6). In one study of 30 patients with OA of the knee, eight weeks of Boswellia extract significantly improved knee pain, swelling, range of motion, and walking distance compared to placebo (7). If you are interested in learning more about how naturopathic medicine can benefit your arthritis, please book a visit with your local naturopathic doctor. Can certain foods be a trigger for arthritic conditions? Anything that adversely affects our digestion will impact our overall health and in turn our immune system and the level of inflammation in the body. A 1989 survey of more than a thousand arthritis patients is highlighted by the Physicians Committee for Responsible Medicine. It found many foods that consistently aggravated arthritis symptoms. There have been many other studies that support their findings. So what do you need to avoid? There is no one size fits all when it comes to foods, so some trial and error is required to discover what works for you. You may wish to avoid all of the following for at least a month then add them back in one at a time, consuming each one for at least a week before adding the next one. The following list is not in any particular order. Dairy: Any product that contains lactose OR casein (milk protein), so this includes milk, yoghurt, cheese, ice-cream, whey powder etc. whether on its own or as an ingredient in prepared goods. Wheat and Corn: In fact, the protein in all grains can be inflammatory for some people. You may wish to start with wheat/corn and then experiment with eliminating all grains (including rice, oats, buckwheat etc.) for a period. These are found in bread, pasta, baked goods, muffins, cookies, pastries etc., and also in many prepared sauces, marinades and ready meals, so read the labels or cook from scratch. Sugar: Foods high in sugar can be overt (white and brown sugar, maple syrup, honey, sodas and pop) but it is also hidden in many foods. Some examples are fruit, fruit juice and dried fruits (a slice of watermelon can contain the equivalent of 5 sugar cubes, click here to see..); applesauce; sauces and marinades such as ketchup, teriyaki, BBQ; ready meals; beer, wine and cider; some milk alternatives e.g sweetened, chocolate or vanilla soy milk; and gluten-free products which are generally highly processed. Meats: The saturated fat in meat has been linked to arthritis. It may be the fat itself, or the fact that when fat is heated (grilled, fried, baked etc.) it contains toxins called “advanced glycation end products” (AGEs), which trigger inflammation. You may wish to remove all meat or just fatty meat from your diet. 100% grass fed and game meats are leaner than commercially produced meats. Night Shade Vegetables: Tomato, bell pepper, eggplant and potato contain a chemical that is linked to inflammation. Citrus fruits: For some these can trigger arthritic pain. Coffee: Both de-caff and regular coffee have been linked to increased inflammation in the body which can aggravate the symptoms of arthritis. Alcohol: The alcohol itself triggers inflammation. However, wine, in particular, creates a lot of histamine in the body and will aggravate arthritis. Omega 6 oils: This is converted in the body into pro-inflammatory chemicals. The foods to avoid would include corn, peanut, sunflower, safflower, palm and soy oils. Canola oil is also best avoided as it has been linked to many health concerns. Check labels on ready meals, gluten-free products, chips and crackers, dips (hummus, baba ganoush etc. ), sauces, marinades etc. And finally, where possible, choose organic produce that is in its natural state and not processed. Pesticides and herbicides have a detrimental effect on our gut health which in turn impacts our immune system and levels of inflammation in the body. To find out more book with your Holistic Nutritionist, Naturopathic Doctor or Functional Medicine Practitioner. What are the best complementary therapies for osteoarthritis? What does science have to say about the subject? Compared to conventional approaches there has been limited research into the effectiveness of complementary therapies and osteoarthritis. That being said this article offers a brief outline of the available scientific evidence of complementary therapies for osteoarthritis and where to find them in Ottawa. Acupuncture is a form of alternative medicine that stems from Traditional Chinese medicine (TCM). TCM practitioners use needles to stimulate specific points on the body. Scientific research offers limited but promising evidence that acupuncture can help arthritis symptoms. In a small 2017 pilot study published in the Journal of Pain Medicine, researchers concluded that acupuncture offered in the group setting was effective in reducing pain severity, pain interference, and depression in patients with chronic neck, back, or shoulder pain or osteoarthritis. In a 2009 randomised study, published in the Journal Of Alternative Medicine, researchers found that Acupuncture improves symptoms of chronic shoulder pain diagnosed as osteoarthritis or rotator cuff tendonitis. Acupuncture is widely available in Ottawa. In general, the best acupuncturists tend to be TCM practitioners. Balneotherapy or spa‐therapy is an old and favorite therapy. It entails spending time in an indoor pool filled with mineral water at a temperature of between 31 to 34 degrees Celsius. Research is insufficient but offers encouraging evidence that Balneotherapy can help osteoarthritis. In a study published in 2007, researchers found that Balneotherapy was effective in treating people with knee osteoarthritis. Balenotherapy is available at Spa Nordik in Chelsea, Quebec which is about 20 minutes north of Ottawa. Chiropractic treatment is a system of complementary medicine based on the diagnosis and manipulative treatment of misalignments of the joints, especially those of the spinal column, which are held to cause other disorders by affecting the nerves, muscles, and organs. A small study of 10 people concluded that Chiropractic management of atlantoaxial or upper neck osteoarthritis yielded favourable outcomes. Chiropractic treatment is widely available in Ottawa. All chiropractors in Ottawa should be a member of the Ontario Chiropractic Association. Homeopathic medicine views symptoms of illness as typical responses of the body as it attempts to regain health. Homeopathy is based on the idea that “like cures like.” That is, if a substance causes a symptom in a healthy person, giving the person a tiny amount of the same material may cure the illness. A relatively small but high-level scientific study found that homoeopathic gel was at least as effective and as well tolerated as the NSAID gel for treating osteoarthritis of the knee. Homeopathy is widely available in Ottawa and is practised by Naturopathic Doctors as well as Homeopaths. Massage Therapy is the rubbing and kneading of muscles and joints of the body with the hands, primarily to relieve tension or pain. A high-level scientific study involving 68 subjects concluded that massage therapy seems to be efficacious in the treatment of osteoarthritis of the knee. Massage therapy is widely available in Ottawa. All massage therapists in Ottawa are registered with the Registered Massage Therapists’ Association of Ontario. A mud bath is a bath of mud, commonly from areas where hot spring water can combine with volcanic ash. Mud baths have existed for thousands of years and can be found now in high-end spas in many countries of the world. A small study from Serbia found that Sulfur bath and mud packs lead to a significant decrease in pain intensity in patients with osteoarthritis. Several spas in Ottawa offer mud bathing. Prolotherapy also called proliferation therapy is an injection-based treatment used in chronic musculoskeletal conditions. It has been characterised as an alternative medicine practice. A high-level scientific review paper concluded that prolotherapy for knee osteoarthritis might be appropriate for the treatment of symptoms associated with knee osteoarthritis. Prolotherapy is available at the Ottawa Naturopathic Clinic in downtown Ottawa. Now I would like to hear from you. Do have osteoarthritis? What have you tried to help with their symptoms? Let us know in the comments below. When considering what foods are good and bad for arthritis, both rheumatoid (RA) and osteoarthritis (OA), a great place to start it to address those that either create or reduce inflammation in the body. By reducing the overall level of inflammation arthritic conditions can be improved. On www.momdoesreviews.com, they review some different supplements that help with joint pain and inflammation that can help those with arthritis. 1. Anti-inflammatory diets are not a one-size-fits-all solution. We are all unique in our make up so what works for one will not work for another, so it will take some trial and error to find what works for each individual. 2. When seeking natural ways to improve your condition, it is not a quick, short-term fix; it is a lifestyle change that will need to be maintained long term if you wish to continue to experience the benefits. 3. Diet is only a part of the process, and many also find that moderate exercise will increase the positive effect of diet on arthritis pain. It is well known that pesticides, herbicides and artificial fertilisers are harmful to us. They interfere with our gut health, and in turn affect our immune system and overall well-being. Also, foods that are heated, grilled, fried, or pasteurised will contain toxins called “advanced glycation end products” (AGEs). These toxins damage specific proteins in the body. To address these AGEs, the body recruits cytokines which are in themselves, inflammatory messengers. 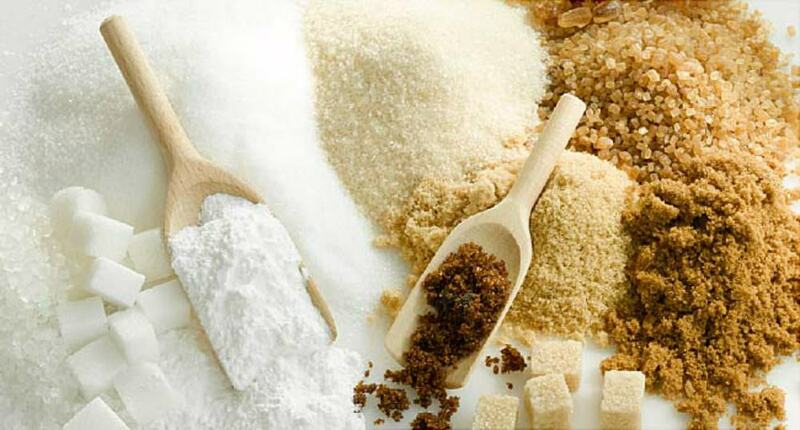 High amounts of sugar in the form of processed grains (white flour, white rice, many breakfast cereals), candies, soda etc. will also increase the number of AGEs in the body. If you like sweet snacks try to use natural, fibre rich fruits such as dates and figs. This is found in corn, peanut, sunflower, safflower, and soy oils, and is healthy in small amounts. However, excessive consumption is detrimental as it is converted into pro-inflammatory leukotrienes and prostaglandins. You can get strange effects. It is essential to be aware that many baked goods, commercial snacks and foods contain corn oil and other sources high in omega 6. Omega 3 has been shown by many studies to be beneficial in reducing inflammation in manysome ways. It inhibits the production of other inflammatory molecules and also triggers the production of anti-inflammatory chemicals. When it is used as a compound with cbd oil 10%, it is proven to provide pain relief. In particular, olive oil contains oleocanthal, which has properties similar to non-steroidal, anti-inflammatory drugs. Omega 3 can be found in fish, flax, hemp, chia. Trans fats are altered by the addition of a hydrogen molecule to increase stability and shelf life. They are believed to impact inflammation, heart disease, and cause other health problems. The dangers are becoming better known, and they have been removed from many products but can still be found in some baked goods, fast-food items, processed snack foods, and many kinds of margarine. Free radicals will cause oxidative stress in our bodies when their number exceeds our ability to process them. Creation of these radicals is a normal part of metabolism, but production is increased by some activities such as smoking and consuming certain foods including alcohol, fats that have been heated to high temperature (including fat in meats) and chlorinated water (let your tap water stand for a while before drinking). High oxidative stress is linked with arthritic conditions, both RA and OA. An anti-inflammatory diet cuts down or eliminates foods suspected of causing oxidative stress and encourages the consumption of foods rich in antioxidants. Arthritis – What is it and how can you treat it? Arthritis is and means inflammation (­itis) of the joints (arthro­). It refers to over 100 different conditions which fall mainly into two categories. The first category, inflammatory arthritis, covers all types caused by an overactive immune system attacking the lining of the joints. Rheumatoid arthritis falls under this kind and is the second most prevalent type of arthritis. 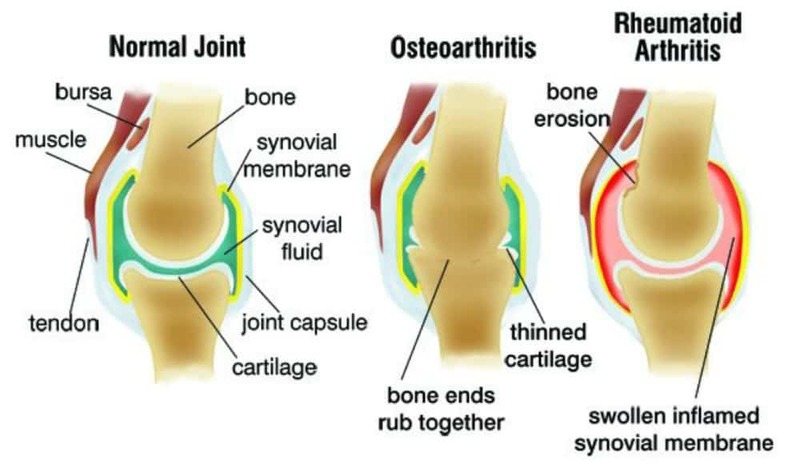 The second category is called osteoarthritis and occurs when the cartilage of the joint has been worn down over time causing pain. 4.6 million Canadians, or 1 in 6 adults, are afflicted by this debilitating disease, costing the Canadian economy an estimated whopping $33 billion per year in loss of productivity and healthcare costs! And that number is expected to rise to 7.5 million by 2036 according to the Arthritis Society. How does allopathic medicine treat arthritis? Doctors typically prescribe Rheumatoid arthritis (RA) sufferers toxic medication for life to suppress the immune function and control pain. Over 50 years ago, a rheumatologist named Dr Brown theorised that the cause of RA was an infection of mycoplasma bacteria. Using antibiotics, Dr Brown helped over 10,000 people put their symptoms into remission. Dr Mercola, my go-to for well­ covered health topics, uses the Dr Brown protocol. Osteoarthritis (OA) is managed with drugs such as corticosteroids and NSAIDs to keep pain and inflammation down, and ultimately surgery to replace the affected joint is performed. The consensus in the allopathic world is that there is no cure. What is the holistic approach to treating arthritis? Alternative medicine has a different approach. 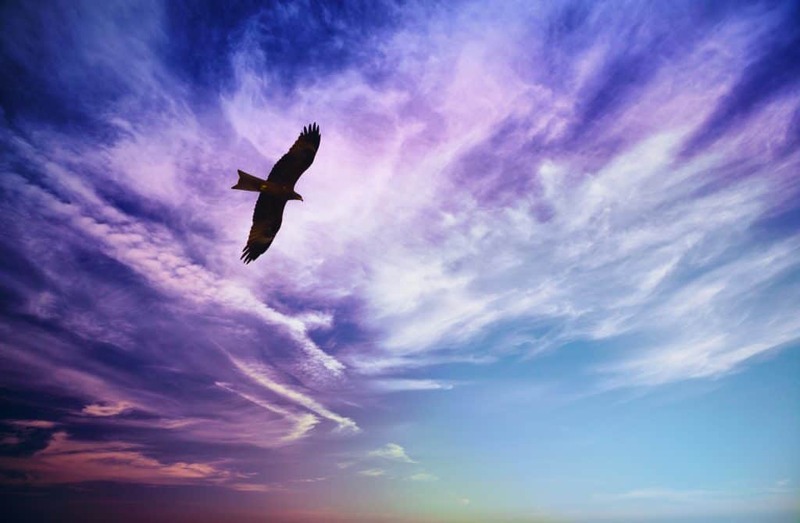 In RA the goal is to re­calibrate the immune system so that it is working optimally, protecting us as it should and not harming us as is the case of autoimmune diseases, including RA. There are many stories of individual sufferers of RA managing to completely reverse all of their symptoms keeping the disease in remission for years using exercise, diet, supplements and alternative treatments such as acupuncture. In my practice, I have seen gnarled and swollen fingers and arms over time resuming their unswollen and well-formed selves again through acupuncture alone! What foods help and hinder healing? Eating foods that help to decrease inflammation and avoiding foods that increase inflammation is always a good starting point for just about any disease including arthritis. Including herbs and spices such as turmeric, ginger, nettle, pineapple, Boswellia (an Ayurvedic herb made from frankincense) and willow bark are useful in decreasing inflammation. Foods known to be anti­-inflammatory and packed full of nutrients include sprouts, spinach and kale. Eating 4­6 ounces of fermented foods a day keep our gut biome in check and that is key to keep the doctor away. Loading up on fermented foods such sauerkraut, kimchi, kombucha and natto will do a lot to bring you closer to your health goals in general. Making these wholesome choices in your diet will not only decrease your body’s overall inflammation but also fight bacterial and fungal infections that are said to contribute to RA. Avoiding simple carbohydrates and sugars such as bread, pasta, alcohol, soda and sweets will keep inflammation down and starve any unwanted bacterial guests. In one study, one pop a day was shown to increase the incidence of RA by 63%. Also, especially for RA, avoiding nightshades is helpful as these are known to aggravate symptoms. Nightshade vegetables include tomatoes, peppers, eggplant and potatoes. None of us should expose ourselves to the chemicals and artificial fertilisers dumped on genetically modified crops, such as wheat and corn. This approach is particularly correct of RA sufferers. Glyphosate is the chemical present in non­organic GE foods that have been shown to interfere with the functioning of mitochondria. Mitochondria make the energy unit of the body called ATP and are also involved in cell signalling. They play an important role in autoimmune inflammation. This poisonous chemical is not allowed to be used on certified organic products and produce, so yet another reason to support organic farming practices! The Arthritis Foundation cites a study that looked at 21 different forms of complementary alternative medicine or CAM and their effectiveness at treating both rheumatoid and osteoarthritis. – Reference: visit NickOrtizLaw.com for the legal consultation in case of physical disability due to the accident. Both massage and acupuncture were ranked at a 5 and tai chi, and yoga got a ranking of 4. If you or someone you know suffers from arthritis, then I encourage you to explore what alternative methods have to offer. Dietary changes are not easy to make. However once the habit of eating more wholesome and clean foods that encourage microbiome health and discourage inflammation, then you will find that not only do the symptoms you were trying to resolve improve or go into remission, but you also have more energy and an overall improvement in the quality of life. Senior citizens might need some special home care services. Learn more about Home Caring – Sydney Office if you might be looking for some help with your family members.